A confidential document found on Anthony Weiner's laptop reveals that the United States Embassy in Stockholm, Sweden expressed concerns in 2010 that WikiLeaks would release classified US documents related to Sweden ahead of the September 19 Swedish election, tipping the vote towards the Pirate Party. The subject of the cable reads "Wikileaks: The Pirate Party's White Horse Into Sweden's Parliament?" The Embassy cable notes the "grim electoral outlook for Pirates" - as confirmed by a Pirate party member interviewed by the US diplomat, "Unless WikiLeaks Saves the Day." 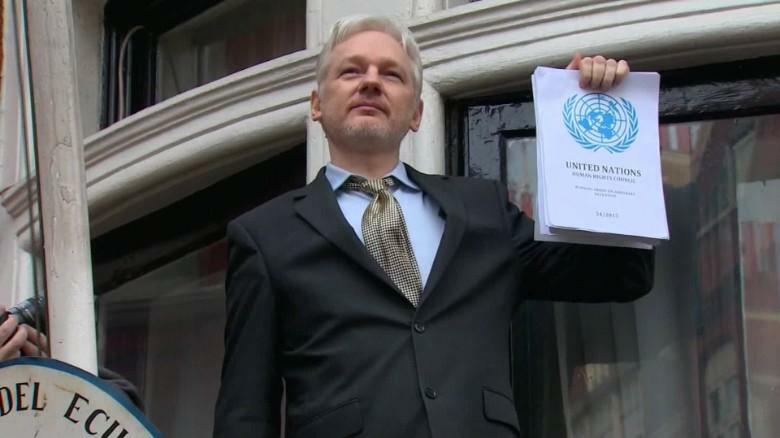 Two weeks after the cable was sent, an arrest warrant was issued for WikiLeaks founder Julian Assange on sexual assault allegations - which was dropped, then re-issued, then revoked again by Swedish authorities in August 2015 when they dropped their case against him. The emergence of this confidential document (found on Anthony Weiner's laptop and sent while his wife, Huma Abedin, was Secretary of State Hillary Clinton's Deputy Chief of Staff), is disturbing - as it potentially implicates the Obama administration in a conspiracy to silence Julian Assange while Hillary Clinton was Secretary of State - not to mention that it could be the smoking gun in yet another clear case of mishandled information found on imprisoned sexual deviant Anthony Weiner's laptop the FBI's Peter Strzok and crew must have somehow overlooked. Contributing to the notion of deep-state interference, CIA director Mike Pompeo referred to WikiLeaks as a "hostile intelligence service" in April, calling Julian Assange "a fraud, a coward hiding behind a screen" for exposing information about democratic governments rather than authoritarian regimes. This quite the ironic statement, considering Pompeo used leaked emails from WikiLeaks as proof "the fix was in" against President Trump. So - while the Swedish authorities have dropped their case against Assange, and the UN says he's been unlawfully detailed - the UK insists on arresting Assange the moment he steps outside the Ecuadorian embassy for jumping bail on the dropped charges, and the US Department of Justice is reportedly prepared to slap criminal charges on Assange. Perhaps the establishment is still a bit miffed that the "white wizard" showed the world what's really underneath the pantsuit, which despite the constant rhetoric of the past year is what ultimately cost Hillary - and so many of her charitable friends - the election.